I chose to review these as a series review post because I ended up binging on the three within several days of each other and they flow very easily together. I don’t know if I can entirely avoid series spoilers, but I’ll do my best. The Shadows of Asphodel world grabbed me from the beginning. It falls into the blended UF-Steampunk genre, but the author dubs her stories ‘Dieselpunk’ and rightly so because it distinguishes the age as WWI era from the typical Victorian of Steampunk, but it also is accurate because the machines are propelled by diesel, clockwork, and magic not steam. For the most part, the world is very recognizable to the WWI era if magic and magic users, who were generally either working for a country or a guild like the Archmages of Vienna or the Assassins of Asphodel in Constantinople, were real and being paired with the technology of the time. The author calls this technomancy. First off, Shadows of Asphodel opens the story with introductions to the main characters, Ardis and Wendel. They start out as suspicious and reluctant allies because they must make a dangerous journey. Ardis is an expert swordswoman and mercenary working for the Archmages whose job it is to keep Europe from plunging into all out war. Wendel is a necromancer and is on the run from his masters, the assassins of Asphodel. Ardis is ‘you see what you get’. She’s a soldier though she has a dark past. Whereas Wendel may or may not tell the truth and seems to always have a hidden motive behind his actions. He keeps many secrets including secrets to Ardis’ past. With assassins sent to retrieve Wendel and enemies to the Archmage Guild after them, they live in interesting times. There is a big, gritty, and dark series of greater climax moments to one exciting ending. Then, Storms of Lazarus, picks up where that one left off. Ardis and Wendel have now managed to make themselves fugitives from pretty much everyone. Or so they think, until a wary, Archmage technomancer and once friend, Konstantin, finds them and needs them to help with his latest invention in exchange he will get them reinstated with the Archmages. They have no choice so they join Konstantin on the front lines of the war that broke out when Russia invaded Prussia, Wendel’s home country. Ardis worries about Wendel now that he will likely encounter the family that turned their backs on him and sold him to Asphodel to be warped into a living weapon for them. She also worries that he is not recovered from his harrowing experiences and wants to drown his nightmares and troubles in drink and laudanum. Meanwhile, the Russian war machine has their own powerful technomancy to match Konstantin’s inventions. 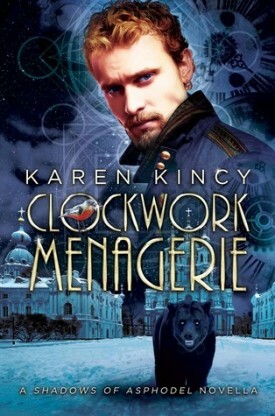 The latest release, Clockwork Menagerie, turns the spotlight off Ardis and Wendel to Konstantin and the dashing airship captain, Himmel. Konstantin and Himmel have been tagged for a diplomatic mission with an ambassador that takes them into Russia. Konstantin is desperate to discover who his rival on the enemy side is and he is desperate to hide his attraction to Himmel. It is against the law for men to have relations with each other, but Himmel might just be worth the risk if the cunning Russian technomancer doesn’t destroy him to keep Konstantin from the dangerous secrets in the Russian labs. Alright, so this series is action-packed. It clips along quickly with exciting fight scenes and intriguing thriller type twists. Characters are moderately developed and there is a goodly share of personal growth and relationship development between action scenes. Ardis narrates the novels and Konstantin the novella. In both, it is well done so that the narrator’s personality and thoughts add to the story, but not at the expense of the other characters around them. The worldbuilding continues to grow with each installment like vampires and airships are introduced in book two and a new abominable form of soul-powered clockwork in the novella. I enjoyed the change of settings with each story, too. I was hoping there would be an eventual confrontation between Wendel and his family just as I hoped for something more about the attraction between Konstantin and Himmel. The romances are very different because of the people involved. Ardis and Wendel were lusty and passionate first with tender feelings coming afterward. Konstantin is a virgin and naïve about anything outside his laboratory so he and Himmel don’t get up to much bedroom passion and it’s a little awkward at the start which made perfect sense. All in all, this is an exciting series with great characters, riveting action scenes, and exciting gadgetry and magic. Those who enjoy blendings of Urban Fantasy and Steampunk should check these out. My thanks to Curiosity Quills for the opportunity to read these in exchange for an honest review. Dieselpunk, well there’s something I haven’t heard before. Probably not a series for me but glad to see you enjoyed them. Yeah, I hadn’t either. New word for my reading vocab. It was fun to read them. Worth it to check them out. I was curious too. It’s great when you can binge a series in a row like that! 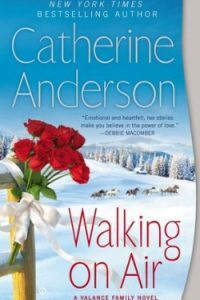 I think I saw the last book with the bear on the cover on another blog recently. it sounds like a fun series. The urban fantasy and steampunk combo sounds like a fun one! I like the sound of how these books are fast paced and action-filled. The world building sounds well done and interesting and I like how there’s some romance too. Great Review! I don’t binge too often, but Curiosity Quills offered them for review as a pack and they looked good so I said, sure. They weren’t very long and they were so exciting that it felt like fast reads. I enjoyed the blend of the two genres, too. Good binge read! I want to see more necromancy and blade action from Ardis! Right there with you. 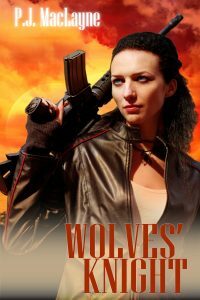 I enjoyed the novella, but I want to get back to more Ardis and Wendel, too. Oh Sophia..I own book one and I need to just sit down and read them all. I love the sound of the world. Hells yes I love when there is necromancy and bad assery! Needs. Emphatically agree with all that, Kimberly. I was so glad I had all these to keep going one after the other and then was sad to be caught up. Gah! I need to read this series already. I’m almost positive I have the first book already. Definitely, Christy! That first book really captured my attention.